Ayo Fayose, President Muhammdu Buhari, others have been invited for the inauguration of the Ekiti State Governor-elect, Dr. Kayode Fayemi. 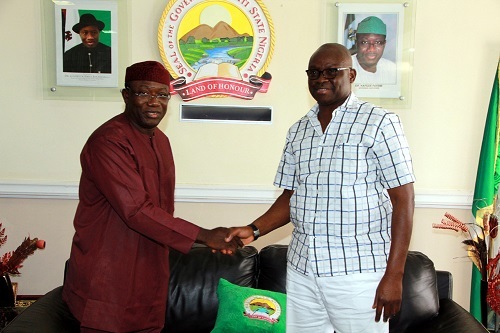 The outgoing governor of Ekiti State, Ayodele Fayose, has been invited by his successor, and Governor-elect, Dr. Kayode Fayemi, on October 16, for the state's governorship inauguration, as President Muhammdu Buhari, other serving and past governors are billed to grace the inauguration. According to PUNCH part of the programme lined up for the ceremony is a lecture entitled, “Reclaiming Our Land, Restoring Our Values, Ekiti of my Dream,” to be delivered by a renowned poet, Prof. Niyi Osundare. Fayemi, who spoke through the chairman of the inauguration’s Media and Publicity sub-committee, Yinka Oyebode, said the incumbent governor was duly invited and that the prerogative to attend the inauguration was that of Fayose. He said the post-inauguration ceremony would feature a town hall meeting across the three senatorial districts of the state, where Fayemi would rub minds with stakeholders on how best to confront the challenges militating again st the people.